The law generally holds drivers of commercial vehicles to a higher standard than drivers of non-commercial vehicles. The main reason being is that commercial drivers are required to drive bigger vehicles, for long distances in extended periods of time, usually carrying precious or hazardous cargo. Due to these reasons, commercial drivers license (CDL) requirements in Illinois are stricter, hence the harsher consequences for violations, especially for DUI offenses. In addition, if you commit any of the above-mentioned violations while you’re carrying a cargo of hazardous materials that require a placard, you could be disqualified from driving a CMV for up to three years, warns renowned DUI attorneys in Springfield, IL. Furthermore, a second conviction for any DUI-related offense would result in a lifetime disqualification of your commercial driver’s license. This is a total and immediate career killer that would negatively affect your income, particularly if you have a family depending on you. 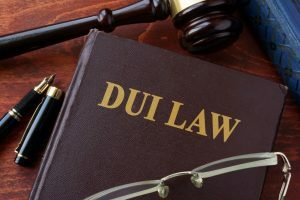 If you’re facing a DUI charge in Illinois, you also face the possibility of losing your CDL — your career and source of income. Due to this, getting skilled legal representation is crucial. An experienced lawyer could determine a potential defense and all options available to your case.